(209) 551-1888 - 2336 Sylvan Ave. Suite C, Modesto, CA 95355. Getting vein services covered by insurances can be challenging for both the vein patient and the Vein Center. 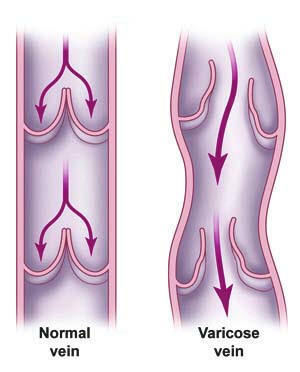 Some of the codes that we use at Surgical Artistry Vein Center in Modesto, CA are listed below. This website was made in the latter part of 2009, and vein codes do change - so please check with your references on billing before applying these. This webpage is not intended to create physician patient relationships - please check with your doctor in person. Who would find this useful: Usually other Vein Practices who bill insurances. Perhaps some enterprising patients who want to figure out their bills and take part in the insurance billing adventures. If you ventured onto this webpage by accident - you probably want to see my Surgical Artistry Modesto Vein Clinic webpage. Examples of medically necessary sclerotherapy would be closing off the distal portion of the greater saphenous vein or chemical ablation of a refluxing perforator. If a service is performed during a global period, modifiers must be attached. Source: I got most of this information above from VEIN Directory. org vol 2, issue 3, summer 2009, and added some of my own personal thoughts.